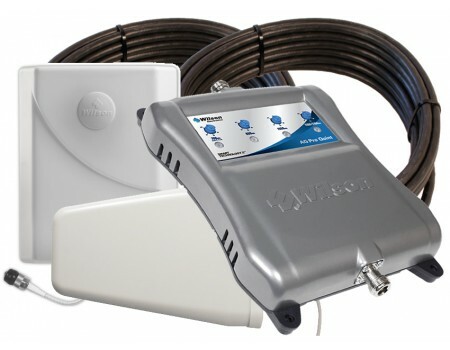 The Wilson AG Pro 4G has been discontinued and replaced by the new and improved weBoost 471104 Connect 4G-X Signal Booster Kit. 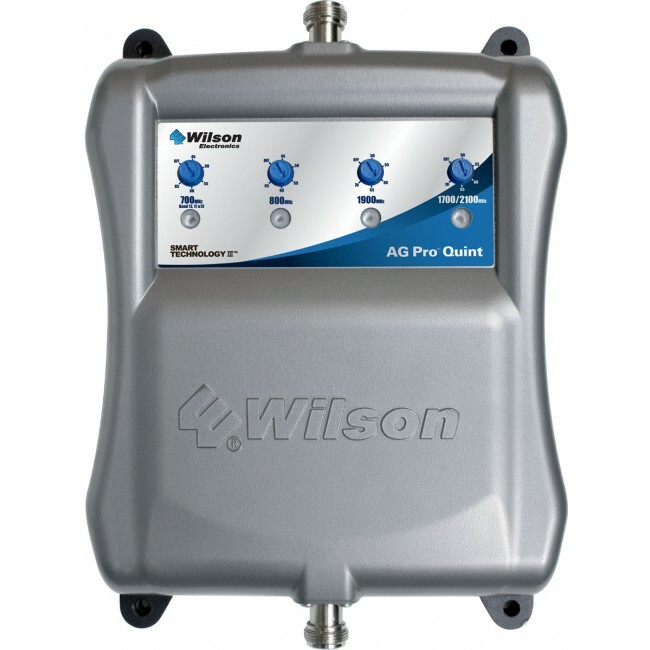 The Wilson 461104 AG Pro 4G (previously called the AG Pro Quint) is one of the first true 5-band signal boosters available on the market, which means that it's able to boost the frequency ranges for the 2G, 3G and 4G LTE networks for all of the major carriers in the United States*. It is also one of the most powerful signal boosters available, with a 70 dB amplifier and the best cables and antennas available from Wilson Electronics, so it can boost the signal in your home, office or building up to 10,000 sq ft or more with a strong signal outside. For a better idea of what sort of coverage you can get out of the Wilson 461104 AG Pro 4G, see the Coverage Area section below. The following should help you better understand how the outside signal strength affects coverage and what sort of general coverage you can expect for your situation. It is important to remember that there are many factors that go into determining the actual coverage area, so actual results may vary from these general estimates. 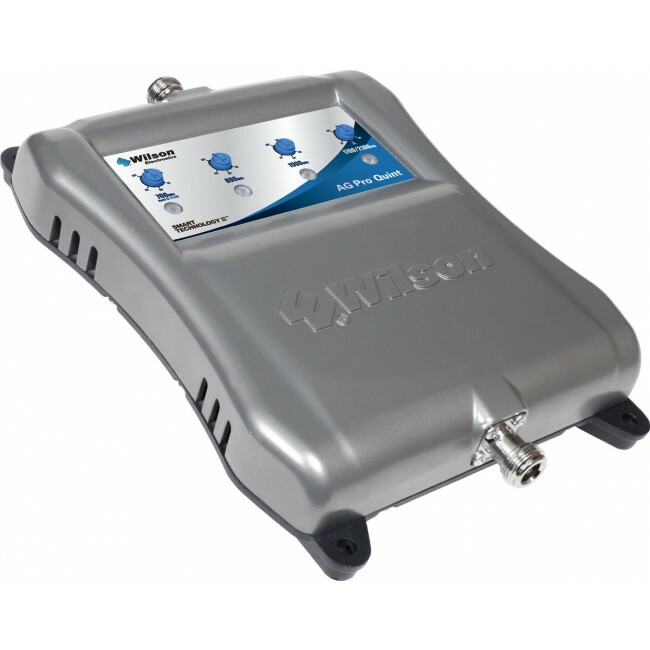 The Wilson 461104 AG Pro 4G signal booster is currently available for shipment and operation within the United States and Canada. It will not work in most of Europe, Asia or Africa because the frequencies used there are different from North America. While the Wilson AG Pro 4G comes with everything that you need for immediate installation, there are a couple of additional items you may want to consider. For locations that receive regular thunderstorms and lightning, a lightning surge protector kit will protect against nearby lightning strikes that cause surges in static electricity that can overload and fry an amplifier. 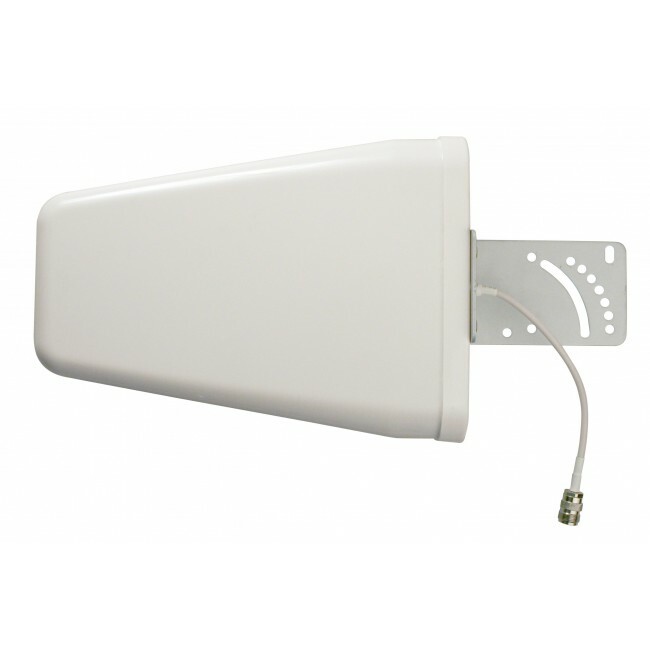 It contains a gas discharge that will automatically cut the connection between the amplifier and the outside antenna when overloaded. When mounting the outside yagi antenna on the roof or elevated location, the recommended method is to afix the antenna to a vertical pole. 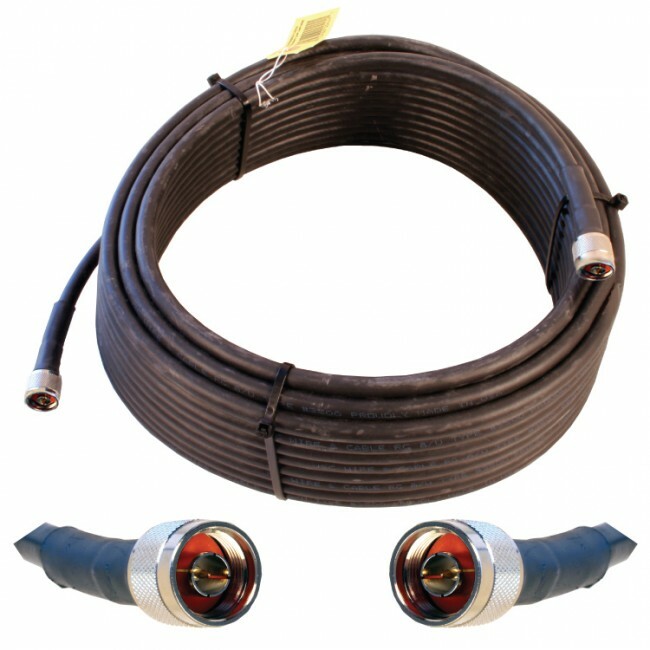 While it's very possible you might have an existing tv antenna or other pole in the location, a Pole Mount Kit is a great option if you don't. It simply attaches to a flat vertical surface and provides with with a foot of vertical pole to attach the antenna and rotate into place. 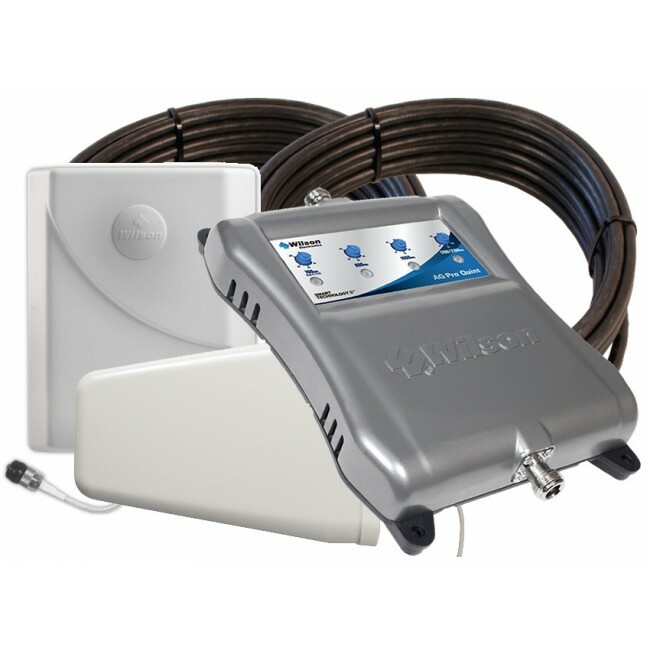 Installing the Wilson 461104 AG Pro 4G signal booster system is fairly straightfoward, but will require running cable from the roof or elevated location into the house, as well as potentially drilling and screwing in components. If you feel comfortable with this level of installation, then feel free to proceed, otherwise you may want to consider hiring a general contractor, electrician, cable repair person, or handyman to assist in the installation. We'll start the installation from the roof and work our way into the house. First, start by determining the part of the roof that receives the best signal, as we'll want to locate the directional antenna there and ideally aim it away from the house (and not back over the roof). Once you've identified the portion of the roof which is best, locate the vertical pole which you'll be mounting the yagi directional antenna on as high up on the roof as possible. Attach the directional antenna and temporarily aim it away from the house. Run the 75 ft. cable from the antenna into the attic of the house, if possible through a vent or soffit, but you may need to drill a hole at this step. Once the cable is inside the house, the recommended place to locate all of the additional equipment is going to be in the attic of the house (If this is not possible, please call us to discuss other installation locations). Run the cable to the area of the attic that has power, and locate the amplifier here. If you've purchased a lighting surge protector, then attach that now, and then connect the 2ft cable to the "Outside Antenna" port of the amplifier, otherwise directly connect the outside cable to the "Outside Antenna" port. Connect the 60 ft cable to the antenna port on the other side of the amplifier, and run it to the center of the attic. Connect the panel antenna and lay it face down on the floor of the attic. Once all of the components are connected, power on the amplifier by plugging it in. As it's powering up, you should see the lights flashing, and then check to see that they turn solid green. If they are blinking or are any other color than green, you'll need to troubleshoot the setup by consulting the manual or contact us for help.